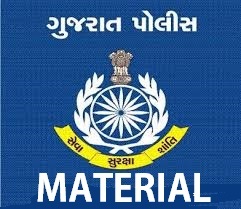 Gujarat State Petronet Limited - GSPL, Gandhinagar published an official notification for Recruitment of Dy. General Manager, Sr. Manager & Others posts. Eligible candidates can apply for this recruitment. You can view more details about this recruitment including No. of posts, name of post, Educational qualification, Age limit, Selection process, How to apply etc... You can also view official notification and other important facts about this recruitment e.g. Important links and Important dates. Dy. General Manager / Assistant General Manager: B.E / B.Tech (in any discipline) + MBA (Marketing / Finance) - Full time course from a Recognized / AICTE approved Indian University / Institute. Sr. Manager: B.E / B.Tech (in any discipline) + MBA (Marketing / Finance) / 5 year Integrated Law course - Full time course from a recognized / AICTE approved Indian University / Institute. Assistant Manager: B.E/B.Tech (in any discipline) +MBA (Marketing/Finance) / Masters in Statistics/Mathematics/Economics - Full time course from a recognized / AICTE approved Indian University / Institute. Dy. General Manager / Assistant General Manager: Minimum 10 years experience in a. Business Development & Marketing. Sr. Manager: Minimum 6/4 years experience in Sourcing, Business Development & Marketing, Legal & Regulatory Affairs. Assistant Manager: Minimum 2 years experience in Risk Management. Assistant Manager (Legal): Minimum 6 years’ experience required. Experience in Oil & Gas/Energy/Infrastructure sector shall be given preference. Interested and eligible candidates can apply online & send their application in prescribed format to below mentioned address along with necessary documents.